Although milk chocolate is delicious, and white chocolate decadent, any chocolate aficionado will tell you- there is something special about dark chocolate. But what makes dark chocolate a favorite of dessert lovers around the world? What is dark chocolate made of? Read on to find out! Dark chocolate, sometimes referred to as black or plain chocolate, is made up primarily of cocoa, cocoa butter, and sugar. The difference between it and milk chocolate comes down to- you guessed it- the milk! 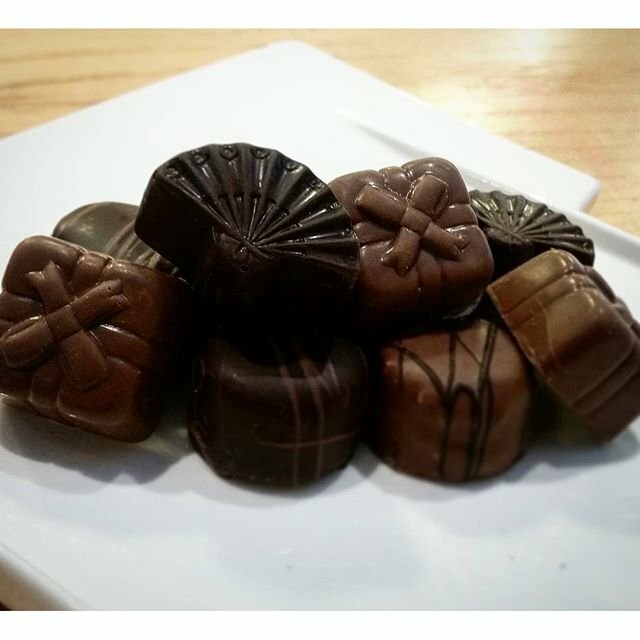 Unlike milk chocolate, dark chocolate does not contain milk solids. This gives dark chocolate its distinct bittersweet flavor. Dark chocolate is often distinguished by cocoa solid percentages. For instance, dark chocolate can be up to 80% (although that's really, really dark)! Here at Rocky Mountain Chocolate Factory, our dark chocolate is 55% - making it the perfect combination of bitter and sweet! Not only is dark chocolate a great fix for our sweet tooth, it's good for us, too! It is full of disease fighting antibodies and other health benefits. Flavanols found in dark chocolate help the body create Nitric Oxide, a gas which helps our arteries lower resistance to the flow of our blood, which in turn helps lower our blood pressure. Dark chocolate is also known to improve several factors that have a role in heart disease. For instance, dark chocolate has been found to help reduce insulin resistance, which is common in diseases such as diabetes and heart disease. Dark chocolate (the cocoa bean in particular) is chalk full of antioxidants. You may be thinking to yourself, "well I've heard of antioxidants, but what exactly are they?" According to Merriam-Webster's dictionary, antioxidants are defined as "substances (such as vitamins C and E) that remove potentially damaging oxidizing agents in a living organism." As far as antioxidants are concerned, cocoa beans are one of the highest rated foods that have been tested- even more so than blueberries and acai berries! When we say dark chocolate may make you smarter, what we actually mean is that cocoa improves the blood flow to the brain, therefore improving overall function. Eating dark chocolate has been linked to improved verbal fluency, short term memory and focus. As if we needed another excuse to eat a chocolate candy bar! Whether you're fighting off bad antibodies or studying for a test, dark chocolate is the sweet snack you can certainly feel good about! 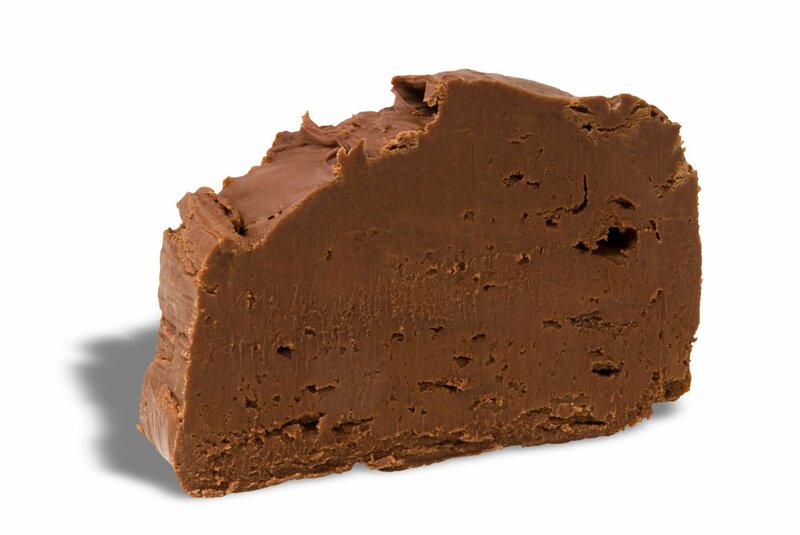 Deep, dark, and decadent, this semi-sweet fudge is just the right amount of sweet. 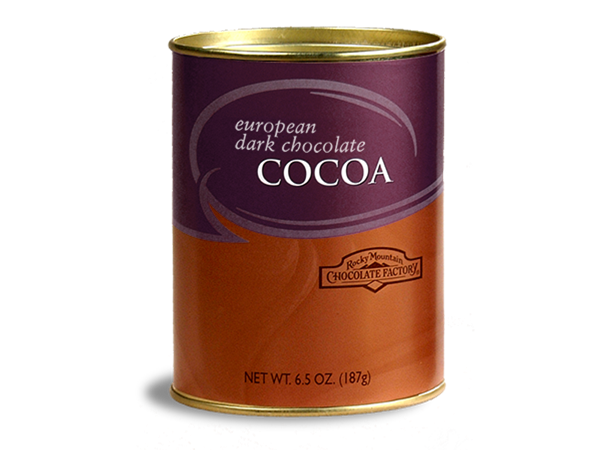 Made with gourmet dark chocolate and heavy cream, it's every dark chocolate lover's dream! For the true dark chocolate connoisseur, a selection of dark chocolate buttercreams, nut clusters and caramels, plus our signature Dark Bear™ pecan and caramel patties, all coated heavily in our rich, semi-sweet dark chocolate. Dark in color and deep in flavor, our exotic European origin dark cocoa is the ultimate bittersweet chocolate experience. Calling all dark chocolate fanatics- this special mix is sure to fill your cup. 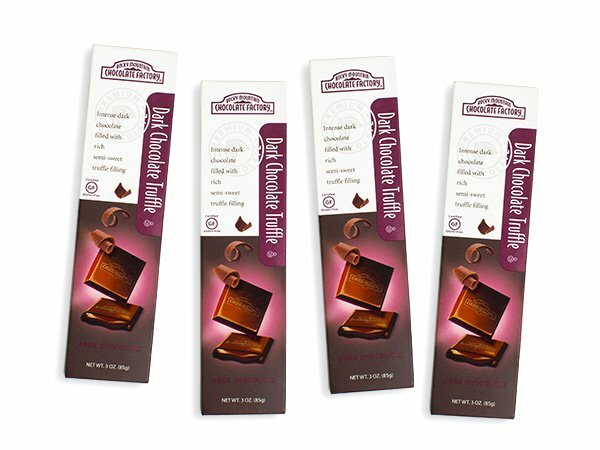 These certified gluten-free dark chocolate bars are made up of a semi-sweet chocolate shell with a dark chocolate truffle center for a full-bodied chocolate flavor! Although we love milk and white chocolate, dark chocolate will always hold a special place in our hearts. 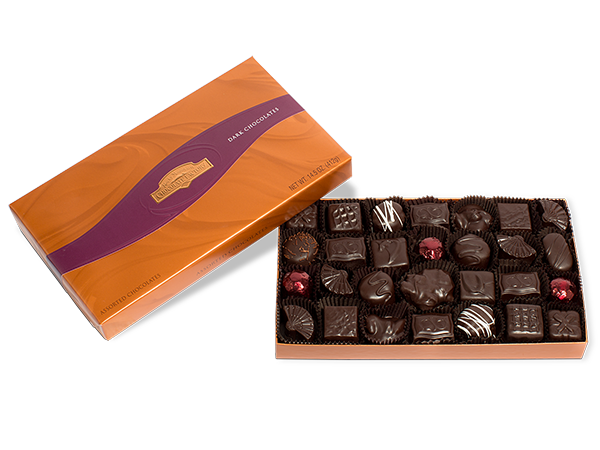 Whether it's a mid-day snack or an elegant dessert, we can always count on dark chocolate to be the perfect fit.